The CompA.I.R™ NE-C801KD is a compressor nebulizer with a lightweight (approx. 270 g) and handy design. With a sound level of 46 dB, the CompA.I.R™ NE-C801KD allows for a very quiet and comfortable operation. The CompA.I.R™ nebulizer kit also features OMRON’s Virtual Valve Technology. 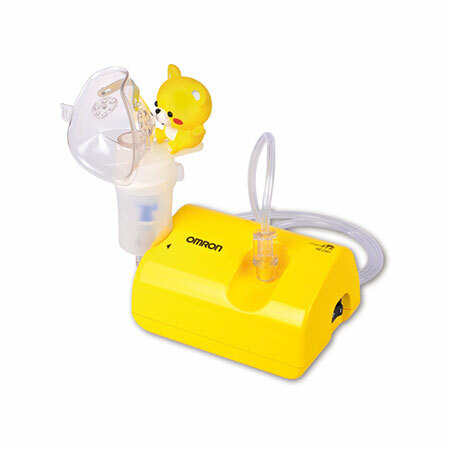 This kid's model comes with two puppet accessories that can be attached to the nebulizer kit. It also includes a child and infant mask.